The Diamond Bead, Amber is a glass Trollbead whose release is exclusive to the Americas. 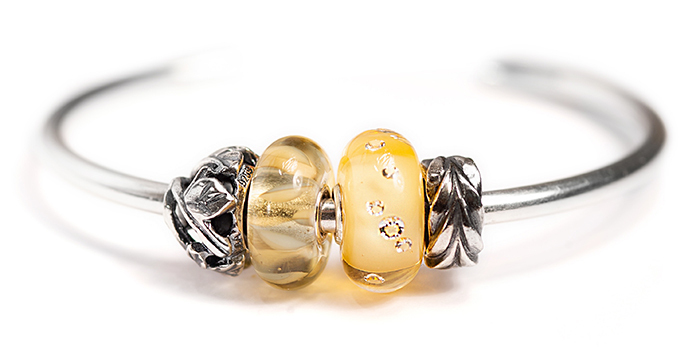 Like other Diamond Beads in the Trollbeads collection, the Diamond Bead, Amber contains 13 cubic zirconias. The golden honey earth tones of the glass pair beautifully with the star-like sparkle embedded beneath the surface of this special Trollbead.